With everything going on in Baltimore, it’s hard to find peace. The country is becoming divided over issues of race, police brutality, violence, voices not being heard, etc. This country is broken and peace and resolution seem far away. As things escalated in Baltimore on Monday afternoon, our country was pulled in separate directions even more. As peaceful protests went on, we also saw riots and looting. From the riots and looting, we saw Facebook posts and news casts of disagreement and anger. No matter the side that you take you can say that this country is becoming divided and peace is not present. Tomorrow afternoon, in the middle of this city that has had devastation, they will have some peace. The peace will come in the form of a game. Tomorrow afternoon, in front of nobody but a few media personal, the Chicago White Sox will take on the Baltimore Orioles in a baseball game at Camden Yards. After two postponed games and rumors of moving the baseball series to a nearby neutral location, the two teams settled on playing ball in front of no one. A new season is upon us. The whole squad is at camp in the warm Arizona and Florida air as we sit and wait for the last snow to fall and melt. Every season is filled with new and exciting things, because as we know baseball is unpredictable. I mean no one would predict that the son of a saloonkeeper would grow up to be arguably the best player of all time, or that a team can come from behind to win 4 games in a row and then win the World Series. What we do know is that each season starts with a clean slate. It’s a new season, any team has a chance and any player could be the CY Young. However today I’m here to tell you that this year is different. This year is not unpredictable. I can predict the World Series and I can predict the CY Young. The White Sox are going to the World Series and they are going to be lead by the CY Young winner Chris Sale. The White Sox have made some major adjustments to their rotation and lineup that not only filled holes and answered question marks but made statements. From the moment the season ended last year I watched the free agent and trade market. I made a wish list and I wish I had written it down. My wish list seemed to have been sent to Rick Hahn and the crew because they answered it like Santa Clause on Christmas Day. I got everything that I asked for and as each player got signed I screeched and jumped for joy like I had just opened an N64 in 1996. I love when players come to their childhood favorite team—coming from the guy that still asks for a million trades until I land on the Chicago Bulls in NBA 2k. Jeff Samardzja did just that. He loved the White Sox growing up and now he is going to love playing on this team. I don’t think he will have to deal with the run support problems that he had on the north side either with 3 silver sluggers in the lineup (Abreu, Ramirez (x2), and LaRoche). It will also be good for Samardzja to have some of the pressure taken off him as he is placed in between Sale and Quintana, two of the best lefties in the game. This will definitely calm his nerves especially in this contract year for him. The 1-2-3 of the rotation is nice and the back 4 and 5 aren’t too shabby either, especially if the young Rodon can pitch his way into that 5th spot. However you can’t sleep on the lineup that is filled with those 3 silver sluggers and more, including the newest addition Melky Cabrera. Melky will fit in nicely behind a fast, .300 hitting leadoff man like Adam Eaton. I’ve always played baseball with the get em’ on, get em’ over, get em’ in mentality. With Eaton, Melky, Abreu combo I think we have a great shot at that. The biggest addition that the Sox made that really got me screaming was signing David Robertson. If you have watched the White Sox in the past years you would know that the biggest weakness as been the pen. This struggle definitely was highlighted by the lack of a big time closer. David Robertson is that guy. He can strike out batters and close out the game. With the additions of Duke and Jennings in addition to Petricka and Jones, the bullpen seems ready to throw to a pitcher-friendly-catcher in Tyler Flowers. Robin Ventura has a lot to work with. If anything is going to mess up this team it’s him. Garcia, a solid bullpen, and a proven front end of the starting rotation that is run by Chris Sale, arguably the best pitcher in the American League. Now, I know that baseball is unpredictable and full of surprises. Like I said, anything can happen. I just wanted to state my predictions officially. I truly believe that this team can win the division and go to the playoffs. When it comes to the playoffs, baseball changes. Your rotation becomes smaller and I think that benefits the Sox and could give them that extra push to get them into the World Series. When they go to the World Series I can comfortably watch my team knowing that I was not a band wagoner but that I believed in them the whole way. 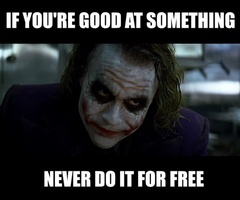 “If you’re good at something, never do it for free!” Do you remember that quote? I’ve always loved that scene and line from the movie The Dark Knight. It makes sense doesn’t it? Why would you do something you’re good at when there are people that will pay you for it? However does this line have any chance of relating to our Christian lives? I would have to say that I don’t think it does. We as Christians need to do everything we can for people of all situations, cultures, and religions because they are children of God. We don’t do acts of kindness in exchange for money; we don’t even do it for an eternal reward. We do it because we love God and we love People. This month in Kingdom Avenue the lessons are all about kindness. There’s a twist to it and this month’s theme is Undercover Kindness. The goal is to teach kids to be undercover with their kindness. Kindness isn’t about the reward you get for doing something kind; it’s about helping others and shining the light of Christ. Acts of kindness don’t need to have a reward; they can be done with out someone even noticing. This month I challenge you to do some undercover kindness. Wash the dishes without being told, write an encouraging note to your kids anonymously, or even pay for the person behind you coffee in the drive through. You don’t need a present in return, a thank you, or even an extra jewel in your crown when you get in to heaven. Just act in kindness because your following the example that Christ gave us, "But love your enemies, and do good, and lend, expecting nothing in return; and your reward will be great, and you will be sons of the Most High; for He Himself is kind to ungrateful and evil men.” – Luke 6:35. Kindness is something that is needed in this sin stricken world. It’s going to look weird and be uncommon but it is necessary and is something we are called to do. If you go make to the Dark Night Trilogy there’s a line that might better apply, Henri Ducard: Your compassion is a weakness your enemies will not share. Bruce Wayne: That's why it's so important. It separates us from them. In life I am usually a calm laid back individual. I sit back and observe a room and the people inside it. I can sit completely quiet in a room filled with thousands of people talking and, honestly, I feel just fine. It’s not that I can’t talk or that I don’t like to talk, I can just feel comfortable not talking. If someone was to ask me a question I would answer them politely, and 7 times out of 10 I will try to spark up a conversation if I’m standing next to someone. Yet, when I’m on a stage or in front of kids for some reason I cant stop talking. I’m goofy, funny, and energetic. I love making people laugh and getting them excited for what’s going on or what’s about to happen. Something just happens when I’m in my element. The only problem with Marshawn Lynch, according to culture, is that he doesn’t like to talk to the media. In fact he has been fined multiple times by the NFL for refusing to talk to the press in the locker room or after a game. Since he must go in front of the press according to NFL rules, Marshawn has resorted to answering with phrases such as “Yeah”, “I appreciate you asking”, and most recently “I’m just here so I wont get fined”. Have you ever watched an NFL or any sport press conference? The media comes in and fires questions at these players hoping to get that one quote for an article or story. They usually hope for a quote that will cause drama because Americans love drama. Almost every player answers these questions the same way: They praise the team, back up the coach’s decisions, and thank the fans. It’s the same thing every time. Almost all of these players have been doing this routine since high school and there’s a good chance they were trained in college on how to talk to the media. Sure, every once in a while you get the wild cards like Richard Sherman or a Joakim Noah who just say whatever pops in their head (which I love! ), but most of the time its like watching a bunch of robots who are programed to say the right thing. However, Marshawn Lynch doesn’t want to be fake and he doesn’t want to be that wildcard and run the risk of getting in trouble by just saying whatever pops in his head. Marshawn chooses not to talk because that’s simply not that type of guy. Marshawn Lynch isn’t going to let the media slam any image on him. He is going to stay true to himself and just play football. And that is why I think that makes Marshawn Lynch one the most honest players in the NFL. Marshawn Lynch is calm laid back football player. He sits in a locker room with his team and just focuses on the game and his playbook. He can sit in a press conference with thousands of people asking questions and not say a word and feel just fine. I don’t think Marshawn cant talk, he just feels comfortable not talking. What’s wrong with that? Marshawn Lynch is a young man from the housing projects of Oakland where he lived off food stamps and was often racially profiled. Now he has become a star athlete living in a media crazed world looking for one thing: drama. Marshawn has already dealt with that drama and takes full responsibility for those mistakes he has made. But now he wants to put an end to the drama and focus on football, not media. And it’s seen when Marshawn hits a football field where he turns it on. He breaks tackles and scores touchdowns. That’s what Marshawn wants to be known for – not for whatever the media decides – but for who he is as a player. Marshawn and I are quiet guys and often that can be misunderstood. Our conversation comes naturally from an honest heart. Let us focus on being the best we can be in our element. When we can do that, we’ll make an impact because we’re staying true to how God made us and not who the world is telling us to be. Marshawn does it on the field while I do it in the classroom or on a stage. Either way, watch out as both of us remove the drama and go into BEAST MODE! On December 28th, 2014 at Westbrook Christian Church I said, “I do”. These two words that came out of my mouth were a joyful declaration. I was making a COMMITMENT to my new wife Ashlyn Slamans. In front of my family, friends, and pastor I committed to sustain a promise to the woman I loved. I didn’t wake up one day, bump into Ashlyn on the street, take her to my church, call up our family, friends, and pastor and make a commitment to spend the rest of my life with her. No, instead this decision to love took time, patience, and endurance. It was built over dates, long talks, and even fights. It was built on COMMITMENT: to care for one another and to keep Christ at the center of everything we do. This commitment called for a plan to put that decision to love one another into action. To truly commit one must plan to commit. This month in Kingdom Avenue we will be talking about COMMITMENT. A relationship with Christ calls for a COMMITMENT. Commitment is making a plan and putting it into practice. If we want to know Christ fully and make Him known we must practice our faith. Practicing our faith calls for a plan. This month Orange gives us 4 spiritual disciplines that need to be practiced to help build your relationship and strengthen your COMMITMENT to Christ. The 4 disciplines are Hear, Pray, Talk and Live. Practice hearing what God says to you, practice praying to God, practice talking about God, and practice living for God. These disciplines can strengthen your child’s, your own, or your family’s relationship with Christ. The Kingdom Avenue vision is to partner with families to build a firm foundation in Christ. To build that firm foundation it will require COMMITMENT from us and from you as the parent, especially if you are the head of the household. Our vision fits with the vision of Westbrook, which is “To know Christ fully and to make him known”. My relationship with Ashlyn should not come as easy as it does. Yet what makes it easy is that we both have a commitment to Christ and we practice these 4 disciplines both separately and together. 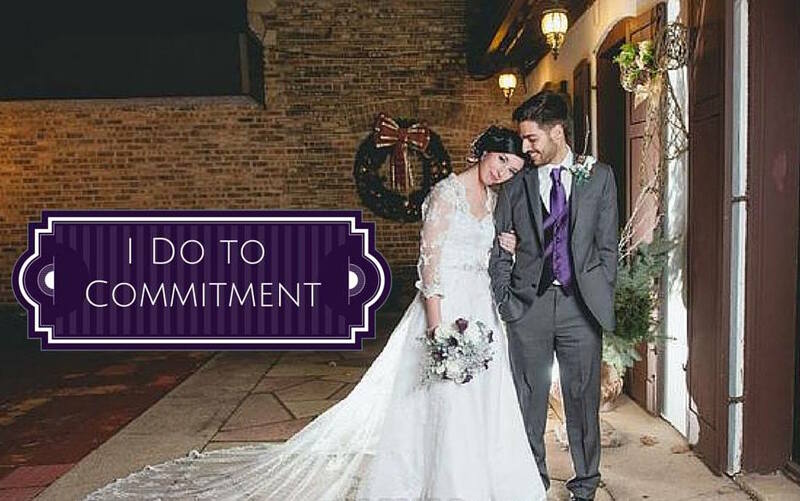 As we start our road of marriage, we walk down a road of COMMITMENT. This road will take hard work, dedication, and practice but we are committed to put Christ at the center of everything we do – and we’re ready to do just that. Are you ready to make a commitment with your family to know Christ fully and to make him known? This weekend has me excited about life! Over the past month or so I have had a chance to celebrate life in different ways and with different people. From a newborn baby, to the death of a loved one, to the baptism of a child, it's been such a joy to celebrate life in this past month. About a month ago, I stood in the waiting room and looked over my nephew Luke Rocco Ochoa. He was beautiful and literally new life. He was so small and brought so much joy to the people around him. Over the past month he is getting bigger and bigger. He is healthy and taken care of by two great parents and a family that loves him. He is a new creation that is about to embark on the journey of life. This week we received the news that Ashlyn's great grandfather had passed. It was sudden and heart breaking. I have only one experience of being in the same room. After this weekend I was able to hear many stories and experiences that family and friends had with and of Melvin Clinton. These stories allowed me to get to know a man that I had only encountered once. I think its safe to say, after hearing these stories, that Melvin Clinton had a full life worth celebrating. On Saturday I had a chance to do that with my new family. We celebrated the life of a MAN. Grandpa Melvin loved his country. He served in WWII and had stories to tell for days about it. He loved his family and made sure everything was in order before his passing, so that he would not cause any problems for his children. Most importantly he loved God as seen by the experience the preacher shared with him confessing His faith in Christ, to the song he sang with his daughter weeks before his passing, he had a relationship with Christ. These are three attributes that are rare to see in any man today. He had all of them and that gave him a full and blessed life. Though through the week we mourned his death, on Saturday we celebrated it! On Sunday I had a chance to celebrate life in a different way. I was blessed to have the opportunity to play a part in baptisms today with my church family. It was a celebration of a new life in Jesus Christ. There is no bigger decision in your life than deciding to follow Christ fully and accepting him as your Lord and Savior. All the baptisms I was a part of were involving children and teens that at a young age have decided to fully commit their life to Christ. My favorite part is that a lot of the baptisms of the children were done with fathers, siblings, even grandparents. It was such a blast and I was honored to take part in those decisions. There is so much in life that is worth celebrating. When we look at a newborn baby we see a life waiting to take shape filled with joy and laughter. When we look at a veteran we see a full life of dedication and love. Finally, when we see someone accept Christ we see a new life that has been washed away from its past sin and made new and thats something to celebrate! It's amazing how your life can change so fast. In the past year and a half my life has been shaken. I've been up and down in my emotions. I've been thrown from side to side with life events. In this time, I have been broken and beaten to my knees, calling out for Christ everyday. I cry out because I have learned that in this time of change the only way I stand is with faith in Christ Alone. You may have heard it said that life is like a roller coaster, so have I. And after what I have been through the past year and a half, I truly do believe that statement. When you first get into a cart on a roller coaster, you have the anticipation that something great is on the brink. You have stood in line waiting for hours to get your turn on the ride. All you have is the story's of friends who have been on the ride before, or the faces of the people coming off as they pass you standing in line. When you get into that cart you know it's finally your turn and you are excited for the upcoming experience. A year and a half ago I was a senior at my Institution. I was ready to graduate and move right into the world of children's ministry, as I have felt called by God to do. I've had senioritis since the day I was born and I was excited to finish my schooling. However, God had more for me in my senior year than I anticipated. Click....Click...Click. If you have been on a big roller coaster, you know the feeling you get when you're in the cart and you hear that sound. The sound of the coaster going up and up with only the sound of the chain clicking. The sound puts nerves in your system and adrenaline shoots through your body. That is the exact feeling I got when I met the girl of my dreams. In the first week of my senior year I met the girl I would spend the rest of my life with. The early days with her were filled with nerves and adrenaline. I knew she was special and was thankful that God put her in my life. I was starting the year on a high note and I my heart was filled with so much joy, God was doing so much more during this time than I ever expected. As soon as you hear the click on at the top of the roller coaster, the downward plunge begins. You get sent down at incredible speed and at an angle that makes you feel like your going to fall right out of your seat. Right before winter break, I received a letter that I was dismissed from my Institution. My GPA was not at the level that Institution required. Although I thought otherwise, I was told there was no way to bring it back up to the requirement they had in place. All of a sudden I had been sent down at an incredible speed. With one semester left I was removed and told that I couldn't do it. This sent me into a whirl wind of emotions as I returned home. I was physically sick and emotionally broken. I spent my Christmas with sores in my mouth and my mind moving thousands of miles an hour. After everything I worked for was taken from me, I had no idea how I would go on. All roller coasters have to have that middle part with quick turns and tight ups and downs. These jolting lashes help gain speed for the bigger moments ahead. I started online schooling in March with my Institution and planned to finish in the next semester. I got to continue my schooling, but I didn't get to stay on campus with friends for our last semester. I got to finish school, but I did't get to walk and celebrate our achievements with people I've been through so much of life with. Little things like this were some of the twist and turns that life suddenly threw at me. In the summer I had a chance to travel out of the country to do ministry with a team and my relationship with Ashlyn continued to grow. With each twist I was picking up speed and getting ready for some big moments that were to come. When so much momentum is gained on a roller coaster, the chains aren't needed to help the carts glide across the tracks any longer. You get sent up fast, the clicks have silenced, and you don't even know where that momentum and speed is going to take you. In the end this momentum takes you to the best part of the ride, even if it scares you a little bit. This could be a loop, a flip upside down, etc. In my life, all the momentum building in these past years took me to a new place that I have never been before. ENGAGEMENT. I proposed to Ashlyn and she said YES. It was the biggest rush of my life. It happened so fast and a little scary with where I knew God was taking us but it was the best thing to ever happened to me. When you get into the station, you breath. You know it's over and you relax .You look to the friend next to you and take a big sigh of relief filled with bewilderment. After I got engaged in November, I graduated in December and finally had a chance to breath knowing that I was done with school. I looked to my friends and family next to me and took a breather with them, they were with me the whole way. Looking back I had them next to my side through every part of the ride. During the first weeks of school my friends were right there helping me make decisions about a future relationship, my parents were there when I got dismissed without any judgment, and Ash has been there the whole way through everything and I couldn't thank them enough. After a great ride you always go to the picture station. You see the face you made at some of the scariest and most exciting points of the ride. I look back frequently at what I have been through. I see all the highs and lows that have happened in the past year and a half and see how God is continually teaching me through those moments. If its a great ride, even when it's an unexpected one, you jump right back in line or on to the next ride. I am ready to jump on to the next ride. I have been through a lot and know that I'm going to have highs and lows, tosses and turns. However, during every part I realized that I needed something to get through all this. I needed Christ through everything. I had to have faith in God in every high and every low and trust in His sovereignty. He was that safety bar holding me into the cart. He knew what drops were coming and what turns were about to happen in my life. I had to trust in Him that I would be safe and I would get through the ride that season of life safely. I have a greater faith in Christ right now and I have fallen on my knees asking for his help multiple times in the past year and a half and I will continue to do that as I jump onto the next ride of life. As of now I am searching for a job, planning a wedding, and preparing for marriage. I seek his help everyday. I fall on my knees and worship Him because I have faith that he will provide, and for that, and so much more, He alone deserves my praise. I have no reason to fear, God is in control of every unexpected twists and turns and has a plan for everyone's roller coster of life. Ministering to children and youth, building the next generation in Christ.